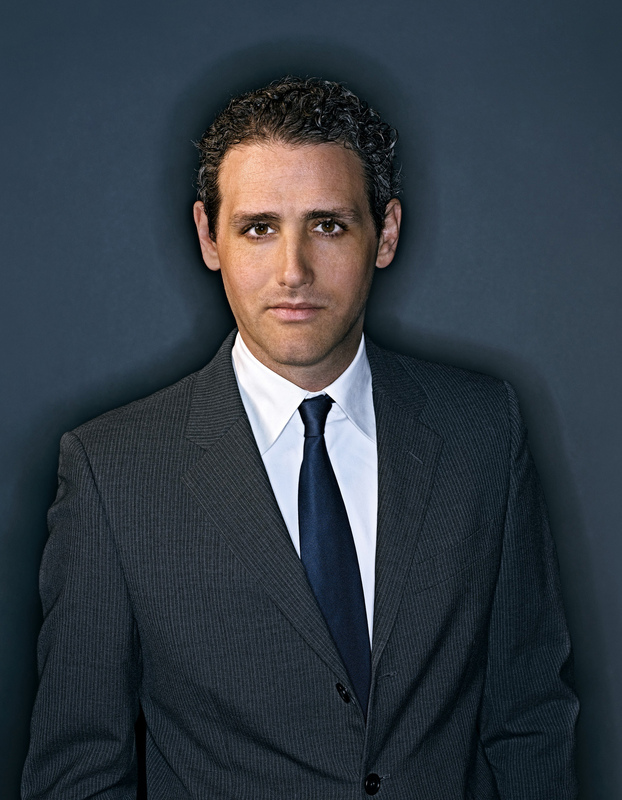 Josh Tyrangiel, Editor of the New Bloomberg Businessweek: Make a Great Magazine and You’ve Got a Great Future. The Mr. Magazine™ Interview. Samir Husni: Congratulations on a job well done. It feels like you’ve created a monthly on a weekly basis. Josh Tyrangiel: You know what? It feels like that. It’s a lot of work, but I really appreciate it. SH: How are you going to follow up with issue two and three and four? Is it going to be that simple to create a monthly on a weekly basis? JT: I’ll tell you, one thing that I have told the staff since day one about where we were headed is that it was going to be awfully hard work and that it was going to require us to think in ways that were slightly different to the ways magazines have been created before. You have to think not just about stories, but you have to think visually, you have to think about story mix. We have to really pack it full of things. Everybody has responded. We talk much more about story than we ever have before. The integration between the edit and the art department is much better than it’s ever been and that’s the way it has to be. There aren’t multiple ways to make this particular kind of magazine. It’s very difficult and I want to keep everybody focused. If I can do that, then the payoff is that (the magazine) feels like a really rich reading experience. SH: Can it be done on a weekly basis? From a reader’s prospective, is it too much? JT: I think it’s just right. Over the past five, ten years, one of the secular challenges we have is that we haven’t invested in our product particularly well. Paper stock got thin, more white space crept into the layout, story count went down and the price of the issue and the subscription went up. To me the value proposition was just off. What we’re trying to say here is, “We’re worth the money.” One of the ways you do that is being genuinely comprehensive so that you know you pick up this magazine, it arrives on your mailbox on a Friday, you read it and you covered for the week ahead. I would love for people to read the magazine front to back, every single word, but you and I both know that’s not necessarily how people interact with the book. But, for those who do, they’re going to be completely covered. For those who pick and choose, we’ll still give them enough coverage about the areas they care about that they feel like the magazine has an indispensability to it. SH: Your cover reminds me so much of the front pages of The Guardian and The Observer, the UK papers. The cover has the look of a daily. Yet, once you go inside, it has the look of a monthly. What was the intention behind that cover design? JT: Remember that this is only one issue and that the consistent aspects of the magazine are inside and that this is our first cover. The idea was to convey some urgency. This is a weekly magazine and one of the reasons that people stopped subscribing to weekly magazines is that they get piled up. My goal is to make sure our subscribers, on the walk from the mailbox to the front door, open this magazine. I want them to engage with it right away. No one expects us to tell them the future, but I think they expect us to be on the news. So, I want our covers to convey urgency. I want them to have enough stuff in those rooflines so that people always find something they’re interested in on those 20 steps from the mailbox to the front door. SH: One of the things that caught my attention is that you are trying to ensure a future for print in a digital age. Whether you are enhancing the print quality, adding pages, using heavier paper weight, etc. But, so many others have done that before and six months later, we’re back to where we were before that. What’s the long term plan? Somebody just remarked to me today, “Are they going to drop “week” from “business”?” Is it going to be “Bloomberg Business” like Nissan did with Datsun? What’s the plan six months from now? JT: We have the benefit of being privately owned and having tremendous support from our company. The plan six months from now is to keep growing and to keep doing work, week in and week out. Bloomberg has faith in journalism. The company has faith that if you put out a great product, people will come. So, that’s the plan. The plan is to make a great weekly magazine every week. JT: I can’t do the work of telling them what they need Fortune and Forbes for, but I can tell them, beyond just the frequency and periodicity, we’re packed with stories and packed with information. We can actually prepare for you to compete every week. You read our magazine on the weekend and you go into the office, you’re covered and you’re covered on a diversity of subjects. On top of that, in addition to being comprehensive, it’s a seductive magazine. 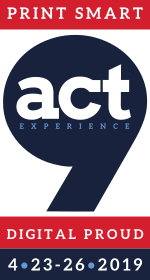 There’s lots of stuff we’re telling people that they don’t know and taking them on journeys to meet people, to hear new ideas, to discover new companies they can impact their business lives. I think that’s something we can do uniquely and again, I don’t want to offer positioning statements for Forbes or Fortune, I think they’re both good magazine, but I think we’re in a kind of different category just based on what we’re trying to do. SH: Sometime back, I think as far as the mid 1980s, some folks were saying the news weeklies are dying and that there is no room for weeklies. All of a sudden we are seeing a great emergence of the weeklies and all are trying to reinvent themselves. 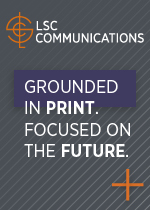 What are you doing in this digital age to ensure a print future? JT: I think you have to be very conscious of the strengths of each medium. I’ve worked on both (mediums) for a long time now and what the web is good at is grazing. People use the web peculiarly for news between 11 a.m. and 2 p.m. They’re sitting at their desks, they’re eating lunch, the voicemail light is on and they’re looking for just a little bit of a break. Stories have to be pretty short, headlines have to be written a certain way, and the immediacy of those stories is the capital. In a magazine, you’re getting people in a different frame of mind. You need to recognize that. Where magazines have made a mistake in the past couple years was going with really tiny short webby style stories and headlines. When you make a decision to open a magazine, you actually make a decision to shut out the rest of the world. You have a person’s focus in a way that you don’t online. You need to capitalize on that. You need to think through some one in that frame of mind actually wants from their reading experience. I think there are some people who have done it very well and that is something I think about a whole lot when we redesigned and it’s something I think about with every story. What’s the frame of mind of our reader? What do they want from this? How can we deliver on that? SH: I remember the first time I met you at Time when you told me about that 11 to 2 timeframe for the web. JT: You’re running into vacant space. That’s the thing. One the weekend, if you’ve got a magazine, you’re running into prime time. JT: That’s very funny. I’m going to give you a very honest answer. I just wish it wasn’t all so awesome. I’m going to go back, and part of the culture here, is that we do very brutal post-mortems. I want us to be our own toughest critic, but that’s why I’m really really happy with our issue. SH: That negates my second question, which is what is your most proud moment in this issue? JT: My most proud moment is how awesome it all was? Same answer? No, I proud of the fact that it feels original. People have been making magazines for a long time and it’s a beloved format, but I think there are things in here that feel genuinely original and I feel proud of that. SH: Every time one of our weeklies change someone says, “it’s going to be like The Economist, or they are trying to be like The Economist.” Are you? JT: No! 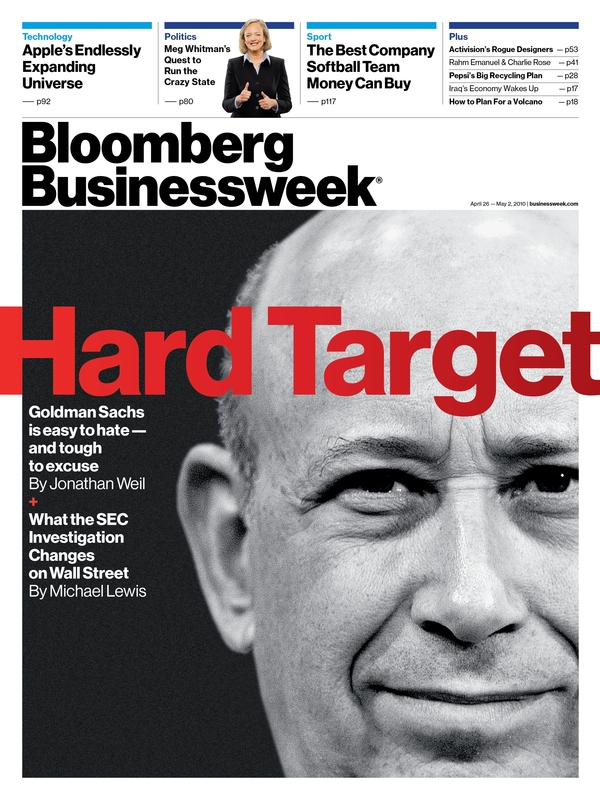 We’re trying to be like Bloomberg Businessweek. The fact is that I certainly think The Economist is good magazine, but I read everything. On my desk right now is The Economist, People magazine, New York Review of Books, Spectator. I read a lot of stuff, but I just feel like our mission is a unique mission. I’m not trying to be like anybody else. That’s why I said I’m proudest of the fact that it feels original. We have a unique mission, we have readers who are unique and they’re asking for us to deliver to them something they haven’t see before and something that’s useful. So, I’m not trying to be like anybody else at all. I want our magazine to feel different. SH: One final question, how do you see the future of print? JT: I think the future of print is very bright for people who make great magazines and great newspapers, but the bar has been raised. Part of our problem is that there was way too much competition and not a lot of it was very good. There are many things that failed, that sadly probably should have. The medium itself is still very strong and has tremendous promise, but our reader and our advertisers are demanding great product. So, make a great product and you’ve got a great future. My own personal belief is that great things rarely fail. So, make a great thing and worry about the rest after you’ve done that first. James Elliott president of the James G. Elliott Company, a firm that specializes in media, marketing, research and sales, visited with my students at Ole Miss last week. As part of a new blog occasional series The One Minute Advisor, I asked Mr. Elliott on what he sees as the major mistake most magazine publishers are committing today and what advice he would offer them. Click on the video below to hear Jim Elliott who has over 30 years experience in the advertising industry. Before founding the James G. Elliott Co., Inc. in 1984, he held numerous executive positions, including Director of Field Services at CBS Magazines and Western Advertising Manager for Road & Track Magazine. 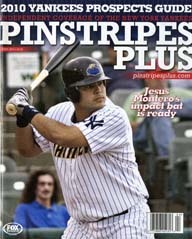 The largest sports magazine in the country is ready to launch with a 7-million circulation rate base this coming October. The magazine, Athlon Sports, will be a publication of Athlon Sports Communication, Inc, an integrated sports media company known for its sports annual publications. Stephen Duggan, the newly appointed President of Athlon Media called me with the news this afternoon. 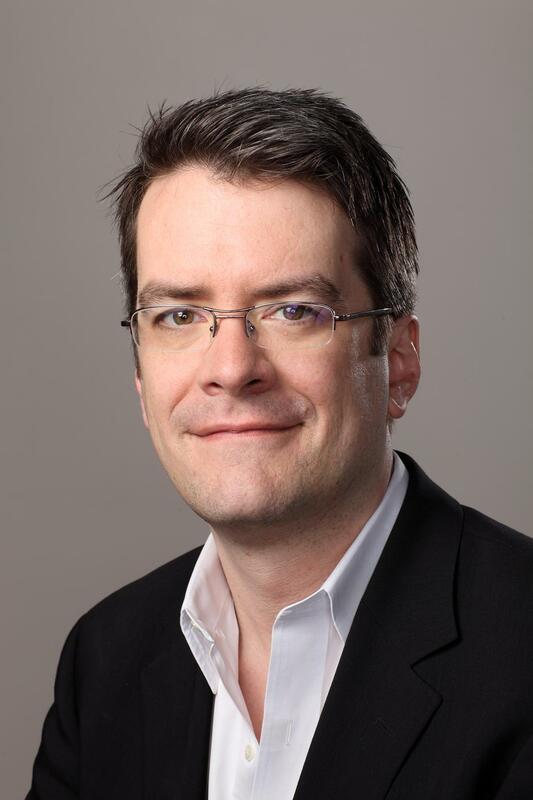 Mr. Duggan who was previously Chief Executive Officer of Alpha Media Group, publisher of Maxim magazine and a founder of Publishing Group of America, publisher of American Profile, Relish and Spry magazines. “The magazine is expected to debut with 7 million circulation, via daily newspapers, making it the largest sports magazine in the country,” Duggan told me. Athlon Sports will profile America’s elite athletes and will provide preseason insights from America’s premier sports editors, in addition to telling compelling sports stories from around the country. Athlon Sports will follow a similar distribution method to that of other newspaper distributed magazines, however it will have a larger concentration on the A and B counties rather than the C and D.
Mr. Duggan who has acquired a minority stake in Athlon is assuming the role of President, Athlon Media. Joining him as Senior Vice President for publisher relations, is Jerry Lyles. Mr. Lyles previously held the same position at Publishing Group of America. 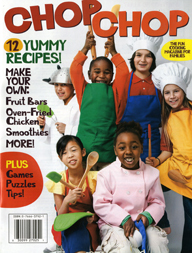 “Cooking is the one area where print beats digital for convenience.” “The very old and the very young are both still reading printed material.” “I think the classic magazine revenue model is dead.” The aforementioned soundbites are but three sentences of the many words of wisdom Steven Slon, the editor in chief of the new children’s magazine ChopChop had to see in the Mr. Magazine™ interview. The newest entry to the children’s magazine market focuses on food as its corner stone, but also covers health and nutrition as it ventures into new areas no other children magazine have ventured before. Both on the business side and the editorial side ChopChop takes a completely different approach to launching a magazine and to reaching an audience ignored by magazine publishers for so long. I asked Mr. Slon (via e mail) who was, for years, the editor of AARP, The Magazine (aimed at 50+), and now the editor in chief of the new magazine ChopChop (aimed at 5+) about the shift to editing a children’s magazine, the magazine marketplace today and the future of print. What follows is the complete exchange with Steven Slon. Samir Husni: With the internet taking off faster than a speeding bullet, iPads and other tablets moving printed magazines and books out of the front page news, why would you start a printed childern’s magazine? Steve Slon: Cooking is the one area where print beats digital for convenience. You want to be able to lay the pages displaying the recipe open next to where you’re working. No matter if it gets splattered on or lightly dusted with flour. You can’t place your ipad,iphone, or Kindle on the stove. Or near it. And, yes, you could print a recipe and carry it to the stove, but that’s a couple of extra steps. Having made all these points, we are building out a website as we speak, and have future plans for developing apps and other tools of the hand-held communication world. SH: Do you know whether it makes a difference for kids to read from a laptop, digital device or a printed magazine or book? Any studies you are aware of? etc. etc. SS: Don’t know of any studies per se, but our mission is to reach children of all economic levels, with special attention to children at and below poverty level. Low income families are much less likely to own a computer. According to a recent paper, “Home Computer Use and the Development of Human Capital,” in the U.S, “less than half of children with family incomes under $25,000 lived in a household with a computer, compared to 92 percent of those with family incomes over $100,000.” [Citation from Stephen J Dubner’s blog, PDF of paper at http://www.columbia.edu/%7Ecp2124/papers/computer.pdf.] That said, even young children who have computers enjoy the tactile and visual pleasures of holding a book or magazine in their hands. SH: The Food Network magazines is doing very well and so are the rest of the new food magazines, what are the odds for ChopChop to make it in this crowded marketplace? SS: There isn’t much in the market aimed at children. But what makes us different is primarily a) Quality and b) Authority. I’ll explain in a minute, but let me back up first and say that we’re competing, not as a magazine, but as a health and nutrition educational resource that happens to be in the form of a printed magazine. We began by marketing ourselves to pediatricians who are extremely frustrated by their inability to make the slightest dent in the massive and growing childhood obesity crisis. They feel that they are spitting into the wind when they tell a family with overweight children that the children need to watch their food intake and exercise more. Lecturing doesn’t work. ChopChop, for them, is a tool that they can “prescribe” to families. And pediatricians are telling us they are thrilled to have this tool at their disposal. The big goal is to move the dial in the direction of cooking and eating together as a family. So, our mission is not really to produce a magazine, but to encourage nutritional literacy that will last a lifetime. That said, it’s a great magazine! Unlike most “educational” materials, ChopChop is lively and engaging and fun. It has the look and feel of a consumer publication. So, back to the point of our differentiation: We’ve put together a top-notch team of veteran magazine-industry designers, photographers, and reporters—all working pro bono to support what we all feel is a valuable mission. (Please note especially the charming profile of a 14 year old chicken farmer by Susan Orlean.) As to the second point of differentiation, authority, our brilliant and charismatic founder Sally Sampson, a well-known cook book author, is deeply networked in the health community, particularly in the Boston area. She has put together an advisory team that includes leading names from Harvard, Tufts, BU and more. This kind of backing and knowledge can’t be replicated. SH: How would you describe today’s children’s magazine marketplace? Is it in a state of growth or retreat? SS: The beauty of ChopChop magazine is that it is completely outside the classic magazine model—children’s or otherwise—in that we do not depend on newsstand or advertising—and in fact, while we offer subscriptions, that’s not a serious revenue stream either; subs are only for the convenience of people who’ve heard of the publication and want to get it at home. We are supported in the most part by foundation, government and corporate dollars. We also receive modest levels of financial support from schools, children’s hospitals, childrens’ clubs and pediatricians. SH: Will it matter where your great content is consumed? On the screen or on the pages of the magazine? SS: For the present, it’s better in the printed magazine form, for reasons covered in the first question. And also because the product needs to be tangible in order for pediatricians and family physicians to “prescribe” it to their patients. In the future, that model may shift as the tools for transmitting information change. But for now, we think it works best as a physical entity. SH: What advice you will give for someone coming to you and saying “I want to start a new kid’s magazine…” What would you tell that someone? SS: Magazines succeed with their audience if they connect in a personal way. I would say, you’ve got to think like a kid and imagine what you’d want a magazine for you (as a kid) to be like. On the business side, I’d say, you’ve got to think very creatively. You have to do something different. I think the classic magazine revenue model is dead. SH: On a personal note, you have made an 180 degrees switch from editing a magazine for the 50+ (AARP, The Magazine) to a magazine for the 5+. How does feel to make such a move? SS: For one thing, the very young and the very old are both still reading printed material. The old because of custom, and the young because of school. (Schools are not completely wired…yet.) But, yes, of course it’s different. And, it’s a wonderful change of pace. I need regular change and big challenges to keep the juices flowing. SH: What is the goal and vision of ChopChop and what do you expect to accomplish from launching such a magazine? SS: I think I said some of this above, but our mission is to “Teach kids to cook and to be nutritionally curious and literate; Empower kids to actively participate as health partners with their families & doctors; Establish and support better eating habits for a lifetime of good nutrition; and σtem the tide of unhealthy children who are growing into unhealthy adults.” Our grand vision is to reverse and prevent childhood obesity. SH: What are you doing to ensure a print future in a digital age? 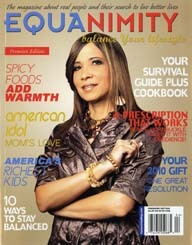 170 new magazines appeared for the first time on the nation’s newsstands in the first quarter of 2010. That is exactly the same number of magazines that were launched in the first quarter of 2009 (we reported back then 167 new titles, but the final tally ended up with 170 titles). This number represents 16 titles more than the 154 titles first published in 2007 and 17 titles more than the 153 titles first published in 2008. Call it what you want, but yet again the innovative media companies and entrepreneurs have shown a resiliency against all odds, and for that matter against the prophets of doom and gloom. 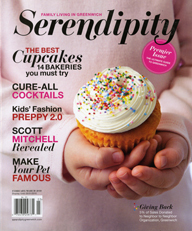 The new magazines of 2010 included 43 titles with a stated regular frequency and 137 with annual, two times, special, or frequency stated. Compare that with 58 new magazines with a stated frequency in 2009 and 112 with annual, two times, special, or frequency or no frequency stated. Amazing to say the least, is that in the worst of times American magazines will know that the best of magazines were launched in the worst of times. To paraphrase Charles Dickens, these are the worst of times. Let the new magazines roll off the presses and enjoy the images of the some of the new magazines launched in the month of March. Any idea why the big difference? I do have every single magazine I report on and count. I do not deal with press releases, e mail information or any other data collection. It is that pure and simple: if I do not have a hard copy of the magazine I do not count. I have no idea how others count the launches, but my numbers are based on facts and actual magazines. I do this as a hobby and education. I am not in the business of selling data bases or anything else. You can check the covers of every issue on the mrmagazine.com website. I divide my numbers by total and break it down by those published 4 times a year and more and the other frequencies. Also the magazines I count are mainly consumer magazines and not trade or b2b magazines or organizational magazines. I have been doing this since 1978 and do have every magazine I ever count. When a magazine bills itself as The Future Now and the philosophy of the CEO of the publishing company is based on Fail Fast and Fail Cheaply, the sky then becomes the limit to what to do when it comes to the future. While others take a wait and see approach, Bonnier’s Popular Science magazine takes the do, fail, redo and succeed approach. 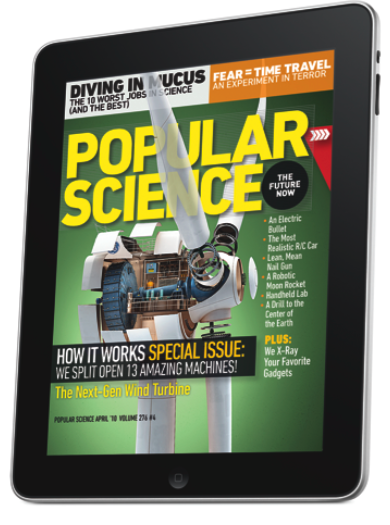 “The magazine is neither afraid of experimenting in public nor afraid of others imitating what the magazine is doing,” Mark Jannot, editor in chief of Popular Science told me in an interview on Wednesday. * Silent mode. Magazines are a luxury that readers can lose themselves in. Mag + has fewer distractions than the Web. It allows readers to lean back, away from the browser, and just focus on the bold images and rich storytelling. Reduced complexity increases a reader’s immersion. * Designed pages. Magazines are defined by their carefully conceived layouts that give readers an immediate understanding of the content and why it matters to them, a quality that got lost on magazine Web sites. Mag+ brings design back to digital publishing. * Defined beginning and end. Unlike the Web, magazines have a defined storyline and flow from front to back. 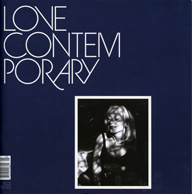 Mag + returns to the notion that something can be, and wants to be, completed. It’s the end of endlessness. * issue-based delivery. One of the great joys of magazines is that feeling of anticipation when a new one arrives. 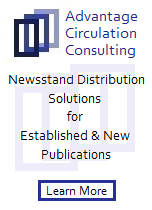 Mag+ maintains that by delivering full issues at once with all the same content as the print edition, and on the same schedule. * Advertising as content. Relevant, attractive advertising is as much a part of the magazine experience as the editorial content, and Bonnier wants Mag+ advertising to include both pin-ups and applications readers can appreciate. Are we seeing, to quote Popular Science tag line The Future Now? Any final words of wisdom from the guy who is reconstructing the future of magazines, one technology and one device at a time? Last night my 64 GB iPad arrived. It felt like Christmas in the office. My colleagues and assistants gathered around “the opening of the box.” The first disappointment was the packaging itself. It did not feel like an Apple package. Second disappointment was the weight of the device. Third disappointment, I could not use the wireless internet on campus because I could not download the Cisco security software needed on campus on all wireless connections (Problem solved the next day by sending my iPad’s WiFi number to get a waiver from the security). Fourth disappointment, attempting to spend my first night with my iPad at home, between learning how to use the device and the major thunderstorm passing our area, it took two hours to download the Popular Science+ April 2010 issue. Fifth disappointment, I did not know how to carry my iPad home. It came with no cover and I could not trust my briefcase to be the safe transportation vehicle for the device. Sixth disappointment, as I started to enjoy my iPad in the morning, I downloaded the latest GQ issue and as I was watching the Gillette video ad, my iPad froze. I could not even turn it off. I had to call Apple Support and they came to the rescue. After all the aforementioned disappointments, I had to enjoy my iPad. I spent $699.00 plus taxes on my new device. I talked about it in class. Its functionability reminded me with the scrolls of centuries gone by. We are no longer limited by the dimensions of the page. You can scroll down, right, left… Space is no longer an issue. The issue remains what will get you engaged, what will keep you on the page and what will bring you back? It is all about the experience. I hope one day your experience with the device is much better then mine. I have to come back for another experience, mainly because I spent too much money to toss away. Stay tuned! You are currently browsing the Mr. Magazine blog archives for April, 2010.